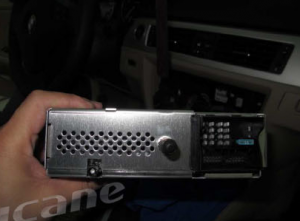 First shows you an advanced 1996-2001 BMW 5 E39 Series car stereo from Seicane. It comes with an exquisite interface and high configurations for you to upgrade your factory radio. Some car owners may worry that it’ s too complicated to install such a radio in your car. Actually, if you have a step-by-step installation guide, things are much easier. Now I’d like to share a BMW 5 E39 Series car stereo installation instruction with you, you can take it as a reference. Please disconnect the power before the installation. Please prepare a lever and a screwdriver before the removal and the installation. Please keep all the separate parts from the car. Please take great care of the dashboard to avoid scratching it during its detachment and installation. Please keep handy any parts from the car and make use of all the original screws from the car as much as possible. so each related part of the unit can be fixed securely. 2.Use a plastic trim tool to remove trim strip. 3.Remove screws marked by red arrows. 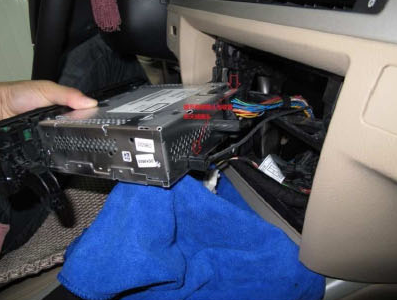 4.Take out original DVD player of the car. 5.Pull out original power plug of the car. 6.Connect the power cables as the picture shows. 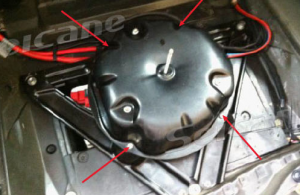 7.Remove screws in the spare tire in the trunk. 8.Take out the spare tire. 9.Remove four screws marked with red arrows. 10.Remove screws in triangle crutch. 12.Connect original plug of the car with power plug of DVD GPS. Connect the new Seicane car stereo to the original wiring harness as the user manual or the wiring diagram shows. Turn on the new Seicane car stereo to have a careful check if everything works well. If it doesn’t, please check whether all the cables are connected correctly. 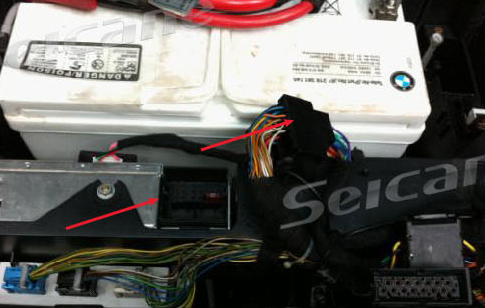 Put the new Seicane car stereo into the dash and install the four screws. Install the trim panel into its original place. Please don’t pull out the GPS SD card with the power on in case of data corruption. 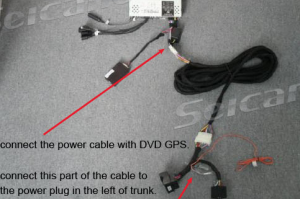 Installation tips for the GPS antenna. 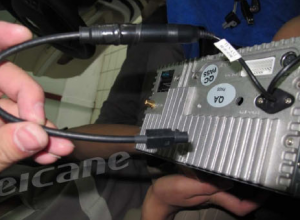 Please don’t shorten or lengthen the GPS antenna to avoid a short circuit or antenna problems. Please place the antenna on the dashboard or on the roof of the car in a horizontal position as best as possible. If there if any film on the windows and heat insulation in the car, it may have a direct effect on the GPS antenna, like positioning precision and signal intensity. Upgraded to WINCE 6.0 CORE operation system, this modern BMW 5 E39 Series car stereo provides better performance and an more attractive interface for you to replace your factory radio now. You can go anywhere without getting lost when you take this 3D GPS navigation system of high accuracy with you on all your trips. To keep safer and more enjoyable, you just need to link with your enabled cell phone to dial and receive hands-free calls as well as stream music. What can a new head unit bring for me? Some car owners may ask themselves when considering replacing their factory radio. Actually, a modern new head unit can not only meet all your needs in a car, what’s more important, it can improve your driving experience to next level. If you have the same dashboard as the picture below which is a multifunctional 2006-2011 BMW 3 auto and manual air conditional head unit from Seicane, then this installation instruction can do great help for you during the whole process of installation. The original dashboard before installation. Pry the panel off with a lever. 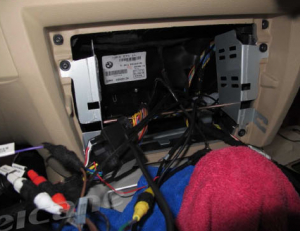 You need to lift the air-conditioning assembly and don’t pry the air-conditioning panel off directly. 3.Unplug the air-conditioning assembly. Then unscrew the CD player and pull the CD player out. Disconnect the power plug behind the CD player and the plug of the radio aerials. 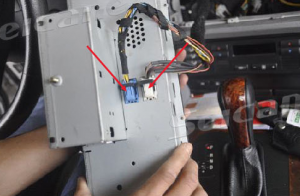 Take off the plastic bracket frame behind the CD Player. Six screws are shown in the picture as follow. 4 of them are T20 screws, 2 of them are turnbuckles(no.8). Unscrew the 2 turnbuckles(no.8).After the removal, the bracket is not needed, because the DVD comes with its metal bracket panel. 7.Mount the metal bracket panel of DVD to the position where the factory CD bracket panel is dismounted. Screw the 4T20 screws on. Connect the power plugs of DVD player and the CD player. Then connect the wires to the new Seicane unit as t he user manual or the wiring diagram shows. 8-2. Connect the power plugs of DVD player and the CD player. Then connect the wires to the new Seicane unit as t he user manual or the wiring diagram shows. 8-1. Connect the power plugs of DVD player and the CD player. 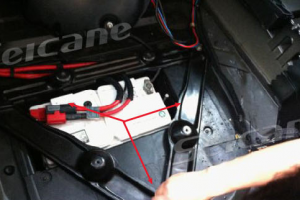 Then connect the wires to the new Seicane unit as t he user manual or the wiring diagram shows. Turn on the new Seicane unit to have a careful check if everything works well. If it doesn’t, please check whether all the cables are connected correctly. 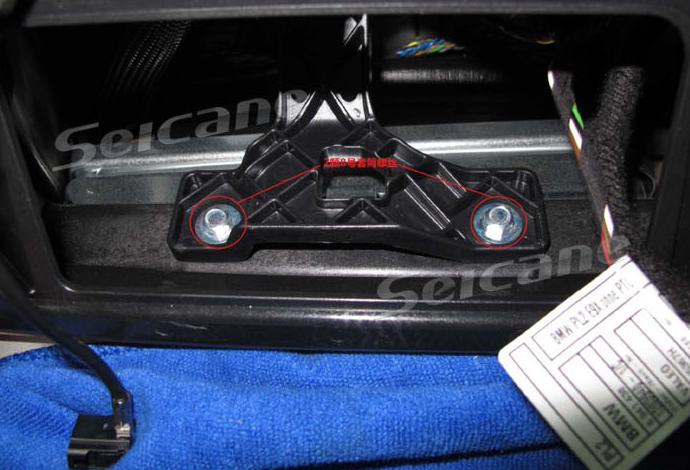 10.Put the new Seicane unit into the dash. Put everything into their original place. 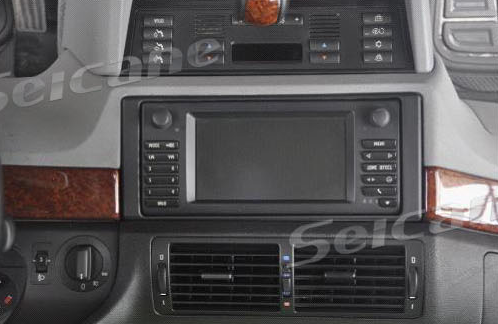 This amazing BMW 3 auto and manual air conditional head unit can function as a great multimedia player, so you are able to play DVDs, CDs, VCDs, Ipod, FM/AM radio, TV, bluetooth music, etc. to keep both you and your passengers entertained on a long and tiring trip. The built-in GPS navigation system of high precision can provide the worldwide real-time traffic situation for you to find your way to a number of locations. To have an extraordinary driving experience, this wonderful BMW 3 auto and manual air conditional head unit is just your best choice! Just take it and go! It may be the best CAR DVD with GPS radio TV and Bluetooth for BMW 3 series E91 that you ever meet. With GPS navigation system in it? Yes, but also support 3D GPS map. With normal disc play in it? Yes, but also with Sanyo heat-resistant DVD loader. With analog TV in it? Yes, but also digital TV as options. 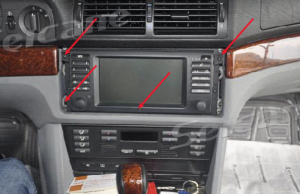 With all but not only the functions that mentioned above, CAR DVD player for BMW 3 series E91(manual air-conditioner) with GPS、radio、TV、Bluetooth is in the way that was expected one of our bestselling CAR DVD player. You might think that the favorable price made it our bestselling product. Yeah, you are right in some way and you know the price is really special. (you know I’m kidding, but it’s in special price now.) However the main reason that made it popular is the perfect fit of functions and appearance. For you’re curious about how to play with this CAR DVD player, click the button to find more interesting information of it. After watching this video, I just want to tell you if I have this CAR DVD player, I might leave my mobile phone 、Ipad、Mp3、Mp4、Mp5, etc. at home or anywhere else. Because my CAR DVD player can fill all my needs that those every single electronic product does. I might dial someone to tell him or her that I just watched a movie and impressed by a song in it, then I listened to the radio and the radio happened to broadcasting that song and I just sent the song to him or her by air with the calling function in the CAR DVD player. If you don’t believe that, how about let me go to you by using 3D GPS map now. Believe it or not, this could be my best tour ever and this kind of tour will last forever. 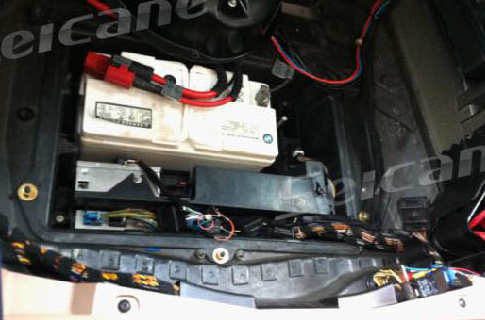 This auto gps unit is specific for BMW 1 Series F20 from 2011 to 2014. No have to have to cut the original cable, just plug and play, simple installation. 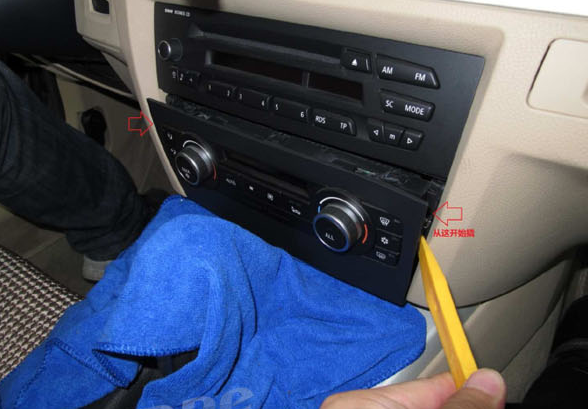 This car gps device for BMW 1 Series F20 without the need of DVD function.It can hold your original car’s CD and car radio perform.No want to dismantle your original car’s CD, so it may maintain your original radio CD player inside the dash. Your original CD player can perform as regular. 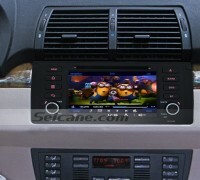 Moreover, this BMW 1 Series F20 gsp sat nav can combined along with your original car or truck completely. It could retain your steering wheel control operates as original! 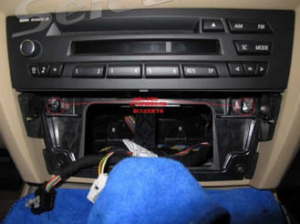 bmw f20 gps , The property screen and menu are comparable to factory BMW interface. This Leading China Vehicle Multimedia Player can Assistance Gps system, Bluetooth, Tv, iPod, AUX IN, Original car AUX IN, SD, USB, MP5, rearview camera, Original auto setting, Air condition setting etc. Guidance with all the Gsp sat nav, you can appreciate music while sat nav, you’ll be able to go anywhere! We adopt the newest 800MHZ ARM11 processor chip to create high efficiency multimedia auto dvd together with the functions of Navigation, audio&video, entertainment and and so on. Help HD Video with 1080P(Built-in IC: TW8825), with MP5. 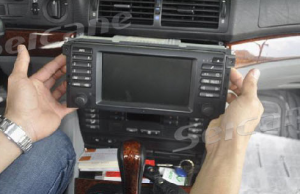 Car dvd navigation system will be the virgin car maker to have bigger fixed military in this way. The bmw-x1-sdrive20i-navigation delivers you safety and effectivity when you will need it essentially the most. Actually also towards the Car or truck DVD Navigation there are actually a lot of interesting and comfy Cool Gadgets for you and make you to enjoy the life and love the moment whenever you use them. 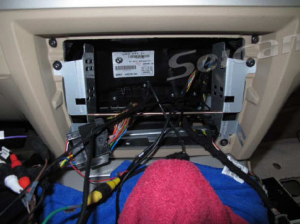 bmw-x1-e84-2013 gsp sat nav replace the BMW X1’s storage cabinet with an 8 inch screen head unit along with volume button (no should dismantle the original auto? ?¡ê¡ès CD, no DVD function).And it may match towards the vehicle BMW X1 E84 from the 2009 year and 2013 yr. This car gps navigation is specific for BMW E84 X1 from year 2009 to 2013.It could match to these automobiles: 2009-2011 xDrive28i(N52), 2010 sDrive18i, 2010 xDrive18i, 2010-2011 xDrive25i, 2011 xDrive28i(N20), 2011 xDrive20i, 2011 sDrive20i, 2012 sDrive28i, 2012 xDrive35i and so on. 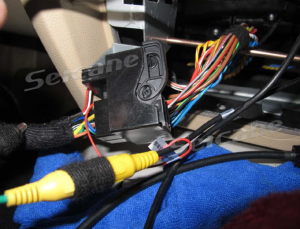 No need to cut the original cable, just plug and play, this unit can pass the BMW Maintenance Technique, uncomplicated installation. 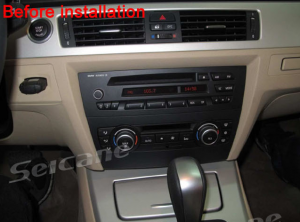 Whenever your auto is bmw-x1-e84, don’t hesitate to obtain BMW X1 E84 navigation systems currently at this website located at Seicane! 1. We adopt the latest ARM11 to create high functionality multimedia car or truck DVD using the functions of navigation, audio&video, entertainment and etc. 2. It has more video decoding capabilities, maximum support 1024*768, with MP5. 3. RAM 256? ?¡ìo?Support hard disk 500G and HD map. Visit your aftermarket car retailer and uncover the proper model for the automobile model. It’s not as complicated as you expect. Most of the navigation systems perform perfectly as long as you choose the ideal model. You wouldn’t neglect your automobile brand and model. Correct? It’s not undesirable to buy on the web. But be certain the shipping time and contact the service tracking your goods from time to time. 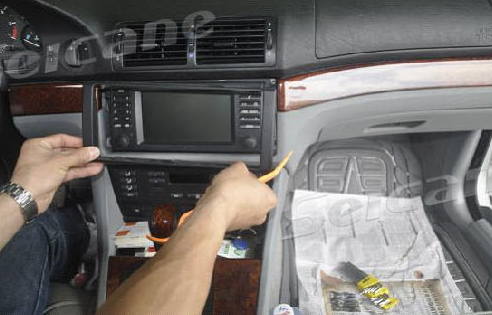 Once you receive the In-Dash Car or truck DVD Player, prepare the screw and get able to install. To begin with, unscrew the screws around the, each sides of one’s axis console coat. And then eliminate the crux console cross in the auto. Then Pull out the old radio and disconnect the wires meticulously. 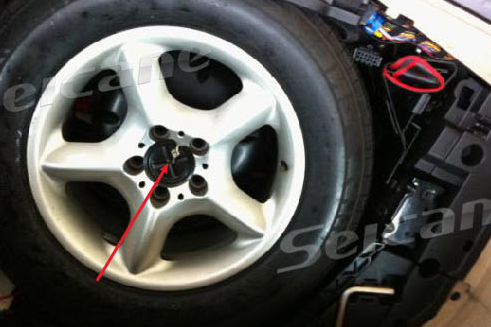 Be sure that spot the components within the appropriate spot. Otherwise, you’ll be able to easily drop these gadgets. Probably the most crucial step is to remove the CPU.Some kits could have a CPU mount that you can screw into spot. Then you definitely should really mount the tentacle towards the turn with the console under the windshield. There’s an adhesive strip around the underside. It’s essential to to make use of it to spear onto the curve in the dash as close to exactly where the windshield meets the dash as you are able to. Run the wires provided in the CPU towards the receiver plus the navigation item. And after that block the rope yoke in to the back of navigation element. Slide the Toyota Corolla Car or truck DVD Navigation into the dash. You should be careful. Don’t disconnect any the wires. Following screwing the seat console instance back into location; it is possible to encode the In Dash Car DVD Player logic. You’ll be able to do that by the abuser handbook instruction. include Gps Device System,	Analogy TV ,Digital TV	opt. This car navigation is special for BMW E84 X1 from year 2009 to 2013.It can fit to these cars: 2009-2011 xDrive28i(N52), 2010 sDrive18i, 2010 xDrive18i, 2010-2011 xDrive25i, 2011 xDrive28i(N20), 2011 xDrive20i, 2011 sDrive20i, 2012 sDrive28i, 2012 xDrive35i etc.You should not cut your original power cable,just plug and play,simple installation. This car gsp sat nav for BMW X1 E84 replace the BMW X1’s storage cabinet with an 8 inch large touch screen head unit and volume button (no need to dismantle the original car’s CD, no DVD function).So it can keep your original radio CD player in the dash.Your original CD player can work as normal. In addition,this BMW E84 X1 navigation systems can combined with your original car perfectly.Similar to factory BMW iDrive navigation system which is also with iDrive controller that slots in by the handbrake.It might keep your steering wheel control works as original! Home screen and menu are clones of the iDrive interface. 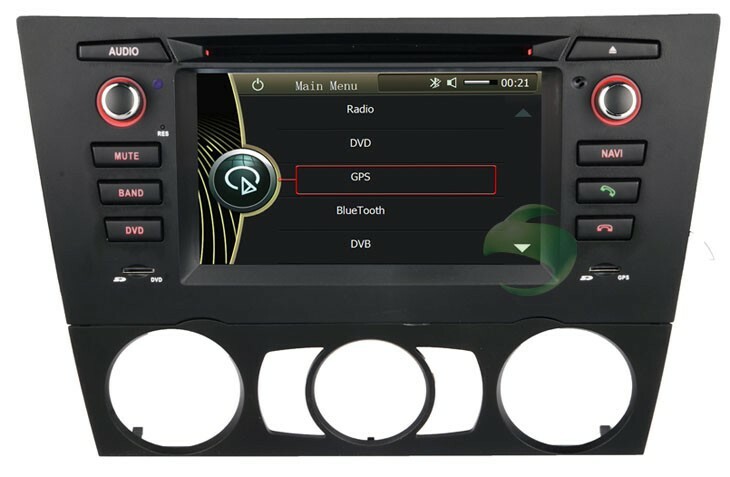 This Top China Car Multimedia Player can Support Gsp sat nav,Bluetooth,TV,iPod,AUX IN,Original car AUX IN,SD,USB,MP5,rearview camera,Original car setting,Air condition setting etc. Guidance with the Navigation systems, you can go anywhere! We adopt the modern ARM11 to create good performance multimedia car dvd with the functions of navigation, audio&video, entertainment and etc. 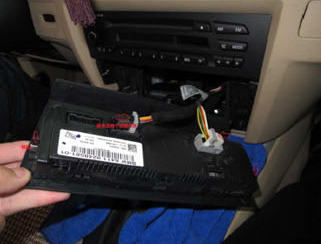 Assistance the radio function of original car’s CD.No have to dismantle the original car’s CD. Bluetooth phone and A2DP function. Two SD slot: GPS navigation map card, multimedia card. Now more and more people have their own cars, and many people have started purchasing a car DVD player for their beloved car. That has become a trend. 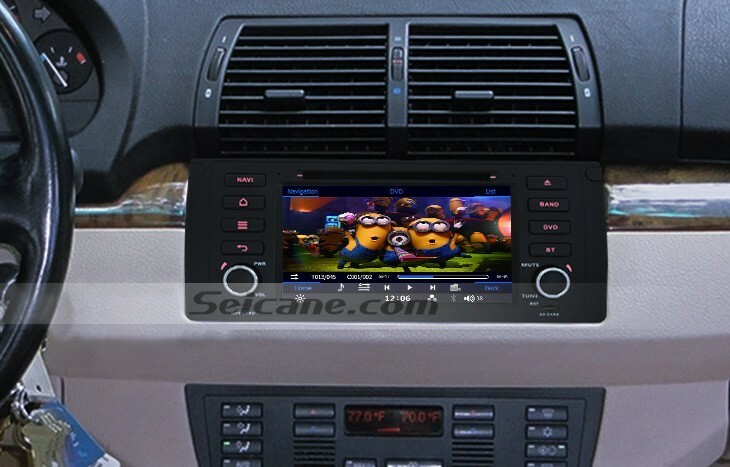 At this moment, whether you have the plan to buy car DVD player or not, it will never be a waste of time to spend some time in reading what people always ask when they are shopping for Car DVD player for BMW 3 Series E90 (manual air-conditioner). Also, iPod support is also an awesome function of a car DVD player, especially for those music fans. It allows you to easily hook up your iPod with the DVD player and appreciate excellent sound directly via the your car’s stereo system. In most cases, the connection between iPod and in-dash DVD is very simple, only need an iPod wire, which is usually together with the DVD player and don’t need to buy additionally. What’s better, you are also allowed to control the iPod straight on the touch screen monitor.In addition, most car DVD players are equipped with USB port and SD slot, allowing you directly play MP3/MP4 or other more digital files from the USB drive and SD card. This will offer you more audio and video resource for car amusement. Car Dash cameras has many benefits, which drive more and more car owners to have this new generation of auto lighting product installed in the vehicle. When it comes to Dash cameras for cars, the first thing that should be noted is that they are much brighter, and can be seen from much further away than any of the conventional lights that come standard on a car. options for connectivity, allowing you to connect car MP3 players, iPod, external hard drives, and other media devices. There is no doubt that such a head unit will bring your endless music resource.It is of great importance of having good speakers in your car audio system. 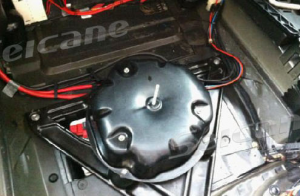 The quality of speakers connected to the sound system will play a vital role on the sound effect, so you really should be careful about what speakers to buy for your car audio. Usually you can choose two-way or three-way speakers, and note that the more ranges a speaker can play, the more quality sound you will get. One of the most strongest part is you could control different zones of audio/video components. You could have separate audio/video unit within the cars, like the over head display, headrest display, and so on. What’s more, you could add a wireless headphones associated with them. Besides, you could add some games you like on the system. You could send audio and video signal to different zones inside the car, by the receiver as controller. So the driver and the passenger on the front seat could be able to enjoy the radio or CD over the speakers. What most DVD player buyers usually are usually not aware of is the fact that most usually they don`t include speakers, Tv tuners, Tv antennas, wires, brackets or other components. 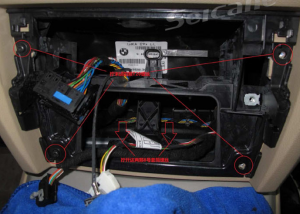 Should you be getting a Car DVD player for BMW 3 Series E90 (manual air-conditioner) on the Internet, make certain that it comes with all its elements necessary to make it work. Even after you are obtaining a DVD player for the auto from an outlet at the nearest buying mall, don`t forget to ask the salesperson regarding the crucial elements.